Portrait view of Harvey Bulfinch Lovell. 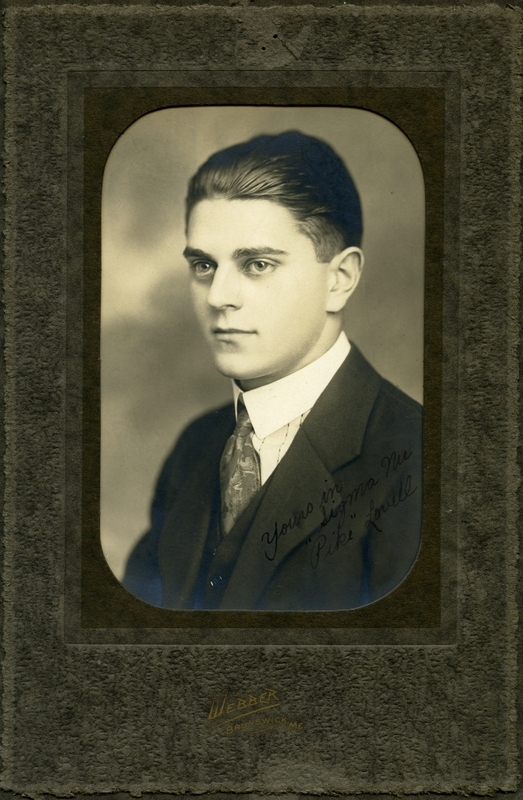 Inscribed in lower right, "Yours in Sigma Nu, `Pike' Lovell." Image is in the 1924 Bugle.